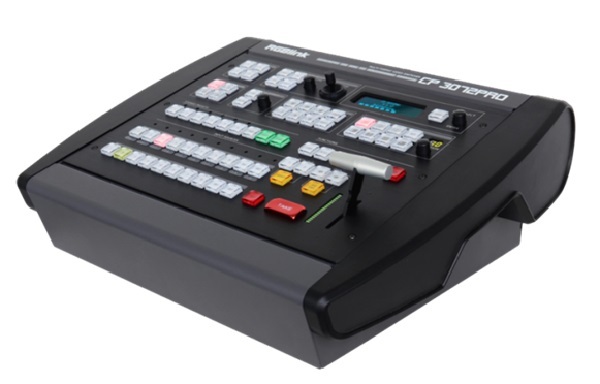 This highly versatile unit integrates a HD/SD video switcher/ Mixer, audio mixer, MultiViewer and control panel in a single, compact unit. 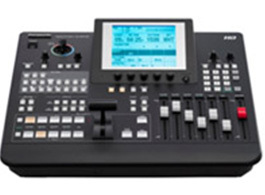 The HMX100 features a built-in MultiViewer output and combines high-quality video switching with embedded or analog audio mixing functions. It offers a very flexible user interface and supports SD, HD formats, plus switching of 3D sources. It’s ideal for use in schools, hotels, government facilities, corporations, public access channels, live events and weddings, and in mobile or portable applications. Digital effects include: basic pattern key, transition wipes, chroma and luminance keys, downstream keying (DSK), title key, time effects (still/strobe) and fades (in/out, video, audio). Connects easily with Panasonic projectors via DVI-D, HD-SDI and RS-232C connections to mix various sources during a presentation, and can remotely control the projector’s power and shutter settings.